Street: 249 County Line Rd. 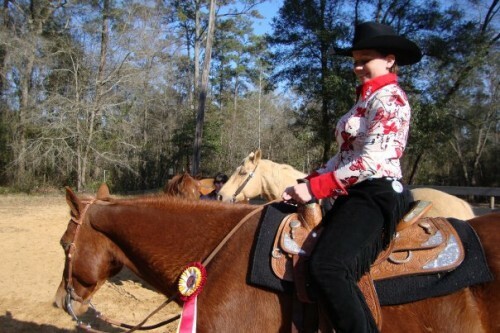 I train and break horses that have never been halter broken or messed with at all. I specialize in Arabians, Tennessee Walkers, and Quarter horses but I will start any breed on the basics. I have experience with stallions and horses with a variety of problems, like biting and kicking. I also have experience with ponies. I have shown for years, mostly Quarter horses. I do 30 days for $350. Hourly is $30. If you are not satisfied with my services you will receive your money back. I am only available for summer work since I attend Wesleyan College most of the year. References are available upon request.